Sensing hydrostatic or liquid leg head pressure is an accurate and reliable way to communicate the height of the liquid level within a tank. 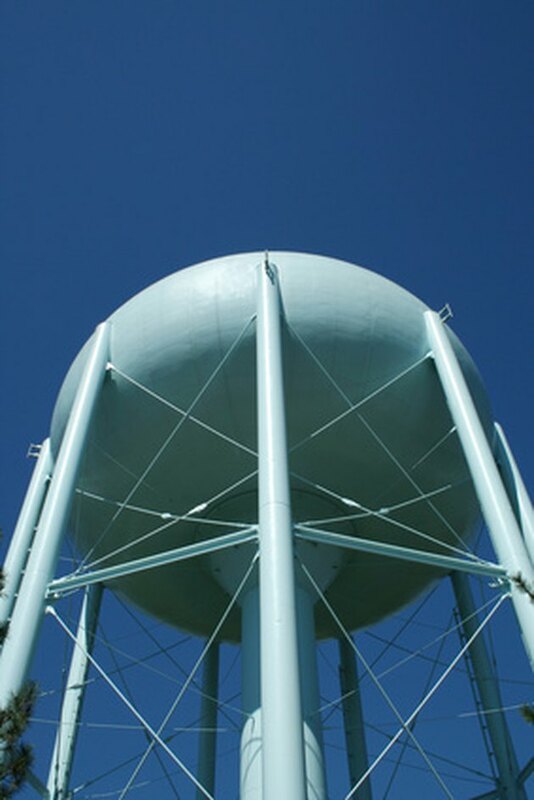 It is based on the principle that water or any other liquid of known specific gravity exerts a given pressure at the bottom that increases as the level goes up. While the method is used primarily for water levels, it can be modified to measure levels of other liquids, knowing their specific gravity, as well as in pressurized containment vessels where static or blanket pressure is known. The level in any tank can be calculated from hydrostatic pressure. Vented plastic water tank has pressure at the bottom. Define the application. 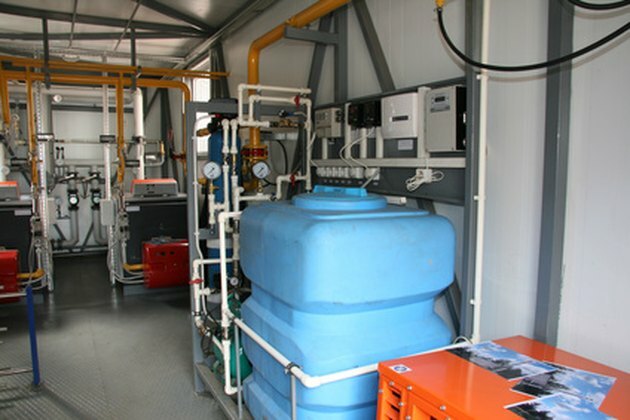 In this example, a plastic water storage tank is being used to store tap water for emergency purposes. The tank is 96 inches high. The tank is elevated 6 inches off the ground on a pad to allow a plastic pipe to emerge from its bottom. An accurate zero-to-10-pound-per-square-inch (psi) pressure gauge reads exactly 3 psi. From this information, you can calculate the level. Convert the 3-psi pressure gauge reading to inches-of-water (inH2O) pressure. Since 27.71 inches of water height equals 1 psi, then the pressure is 3 psi x 27.71-inH2O/psi = 83.13 inH2O. Calculate the exact water level based on its S.G. of 1.0. Take the converted pressure term, 83.13 inH2O/ 1.0-S.G. = 83.13 inches. 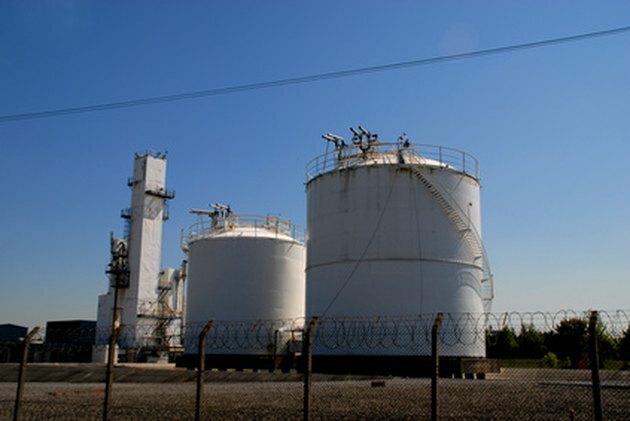 Chemical tanks may have higher specific gravity contents than water. Define the higher specific gravity level calculation. In this case, the same tank still reads 3 psi, except that it contains a brine solution with a specific gravity of 1.10. You can calculate the level from the pressure value with the additional information. Convert the 3 psi pressure gauge reading to inches-of-water (inH2O) pressure. Since 27.71 inches of water height equals 1 psi, then the pressure is 3 psi X 27.71 inH2O/psi = 83.13 inH2O. Correct the pressure reading to compensate for the higher specific gravity. Dividing the 83.13 inH2O static pressure reading by the specific gravity of 1.1 yields a tank level of 75.57 inches. The lower calculated level is due to the greater weight of the liquid per inch of height exerting the same pressure as a greater level of lighter liquid. 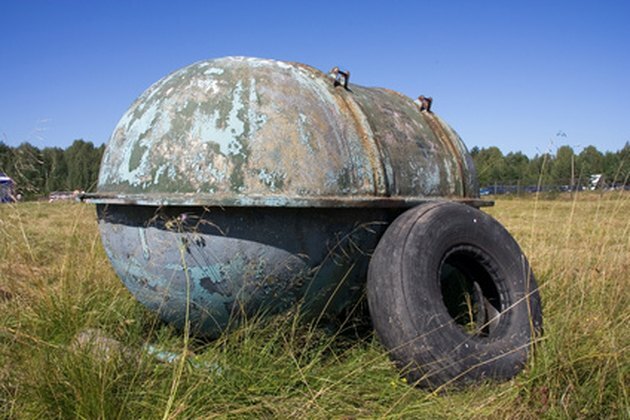 An old pressure tank with rounded pressure ends. Define the level application. In this example, a pressurized water tank with a specific gravity of 1.02 has two accurate zero-to-10-psi pressure gauges, one at the top and one on the bottom. If the top one reads 4 psi, and the bottom one 7.5 psi, you can calculate the level from the pressure difference. Calculate the pressure on the bottom gauge due solely to water level. Since the top gauge has no water above it, its reading is from static tank pressure only. Subtracting the top gauge reading of 4 psi from the bottom reading of 7.5 psi yields a net pressure due to level only of 3.5 psi. Convert the 3.5-psi pressure gauge reading to inches-of-water (inH2O) pressure. Since 27.71 inches of water height equals 1 psi, then the pressure is 3.5 psi x 27.71-inH2O/psi = 96.985 inH2O. Calculate the actual tank level by dividing the net head pressure by specific gravity. Substituting values, 96.985 inH2O/1.02 SG = 95.08 inches. 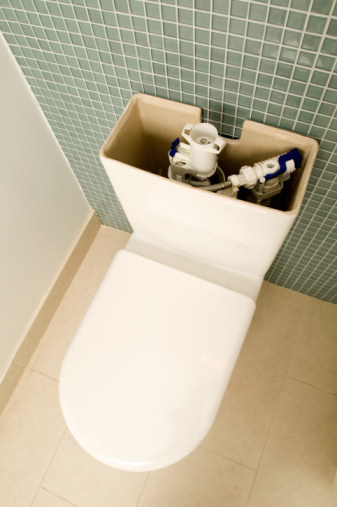 Can I Make My Toilet a Pressure Assisted Toilet? How Do Diaphragm Pressure Gauges Work?